Let’s say you’ve created a video or image you want to share, but you don’t want it saved to your computer. You want to save it in a safe place where you can access it at any time. You want some storage options, and the ability to share it in multiple file formats… or keep it private. You want its original integrity to stay intact. And you want complete control. You’re picky… but you have a right to be. Good thing Screencast.com was designed for content creators like you. At Screencast.com, you’ll get all of the above and more—plus it’s free. Screencast.com is a free web service from TechSmith Co. that lets you upload, manage and share your content without changing a thing. 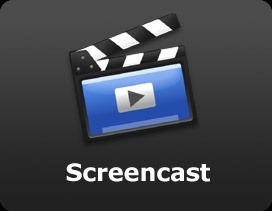 From high-quality videos, to presentations, documents and images—Screencast.com gives your content the perfect home. Logging into Screencast.com automatically takes you to the Library where you can upload your content. You can use any content creation tool to upload your videos and images to Screencast.com. But when you use TechSmith software—like a video recorded and edited with Camtasia Studio, or a quickly marked up image and video with Jing—you can directly upload to Screencast.com from within the application. – Keep the original quality. What you upload is exactly what your viewers see. Content hosted on Screencast.com isn’t compressed or re-encoded into a “one-size-fits-all” format. – Control the rights to your own content. Anything you upload to Screencast.com still belongs to you. So feel free to delete files you’ve uploaded and make room for something new. Create a folder in Screencast.com and save the videos and images you want to keep in one place. Simply store your content… or turn it into a portal for viewers to access. – Decide who views your content. Make a folder public and visible to everyone. Hide it so only you can see it. Password protect it. Or make it so only authorized viewers can access your content. – Access the stats on your content. At a glance, you can see how many times a specific file has been viewed and how much bandwidth each file is using. Uploading is only part of it. Share your stuff outside of Screencast.com easily with a URL or send a link directly to your viewers. Screencast.com even gives you HTML embed code so you can post images and videos on your own website or blog. – Share in high-quality. With options like Flash, WMV, QuickTime and others, Screencast.com is sure to give you the highest quality playback available. – Share conveniently. Provide your audience with anything from a link to your content, to a MediaRoll widget, or to an RSS feed that they can subscribe to. Start off with a free Screencast.com account to instantly begin storing and sharing your content. With the free version, you’ll get 2GB of storage space and 2GB of monthly bandwidth at no cost. Or sign up for the Pro version of Screencast.com and get extra storage, bandwidth and customization options. With the Pro version, you’ll get 25GB of storage space and 200GB of monthly bandwidth for just $9.95 a month. Whatever you do, your content will never be changed at Screencast.com. What you upload is exactly what you’ll see. So when you’re ready to share that video or image, or just save it for later, give Screencast.com a try. You’ll get your content, your way—every time.